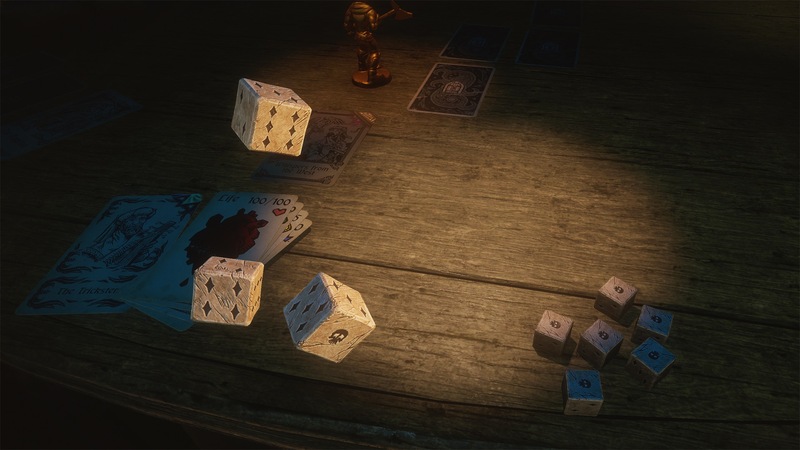 At this point it’s safe to say that Hand of Fate 2 is one of those games that just keep on giving. Steam Workshop support (and a lovely ‘level editor’ of sorts) in February, and now, mere months later… Endless Mode! Best sequel ever? Definitely up there. Won’t be easy, but then again, nothing worth doing ever is, ya know? Provided you have what it takes – or will at some point, through gruesome training – “fame, glory, and the highest score on the leaderboard” awaits! If that ain’t worth striving for, I don’t know what is. Oh, and you better believe that it’ll be a fun journey, no matter its length. And then, once you fall, simply… try again. And again. And again. Because you will fall eventually. Everyone does. Even the mightiest of heroes! There are also new shard tokens to collect, serving to unlock additional customization options, unique encounters, artefacts and – wait, something about achievement progression changing? Ah well! No one cares about those things anyway. It’s all about playing the hand fate deals ya (get it? ), in this game. This game of deck-building, die-throwing awesomeness. Also, I believe the dice are loaded? Hand of Fate 2 can be acquired from Steam for $29.99. What, Endless Mode? That one’s on the house!